A good while ago, I decided to give this little thing over at Instagram a try. 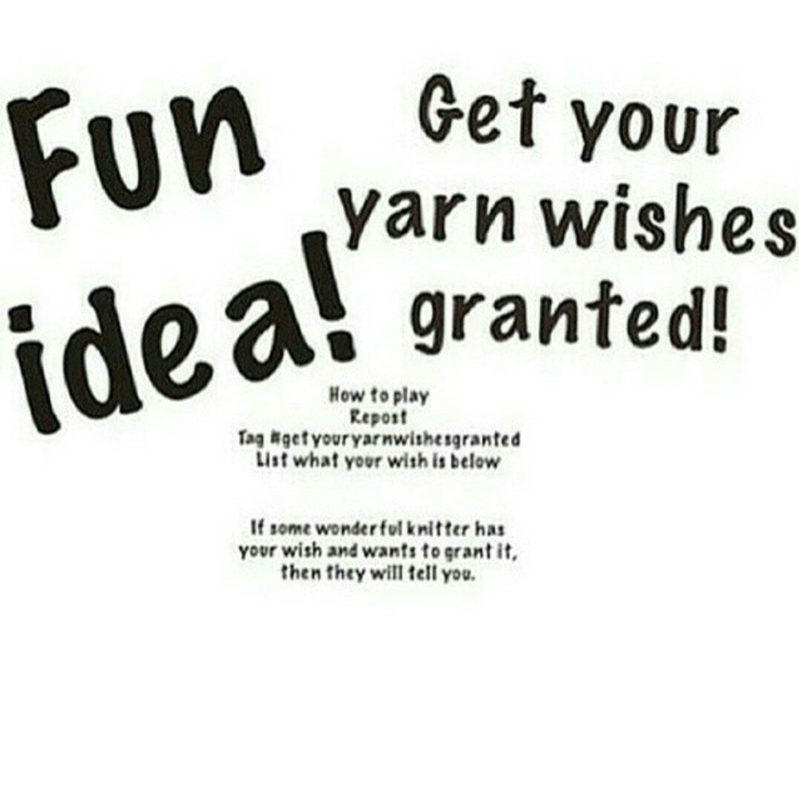 It's fairly simple, you just post this picture with the hashtag #getyouryarnwishesgranted and post whatever you want/need in the world of yarn. I've seen so many people getting amazing stuff from this thing. Everything from handspun and dyed yarn to stitchmarkers. Some people even throw in little souvenirs if they send international. I figured I'd give it a try. I've been looking for camo yarn (in animal fibers) for a good time now without any luck, so why not toss my wish out there. I also mentioned that I wanted wool scraps for my scrap blankets if ayone had some stash they wanted to spare. It didn't take too long until an American person answered me and told me they were going to send me something, though it wasn't too much of scraps. I said sure and gave them my address. Today the package arrived and I were so overjoyed when I opened it. 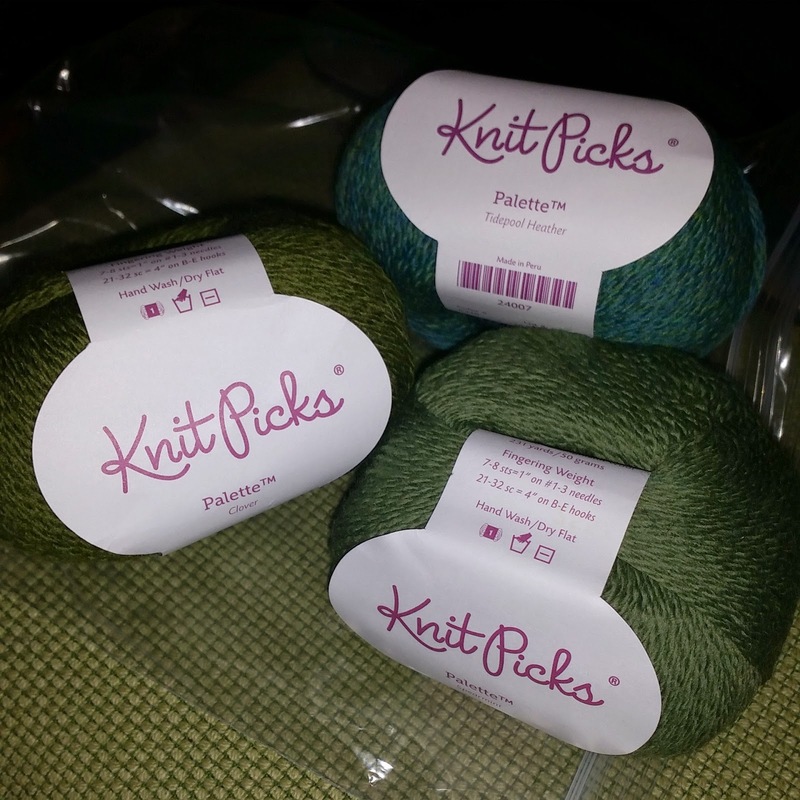 Three skeins of beautiful green-ish Palette yarn from KnitPicks! I've only had the pleasure of touching one skein of this before, which was given to me by my friend Brooke. I ended up dyeing it with red and pink Kool-Aid, but now I kinda regret it. Just imagine how perfect that white/creme coloured skein would look along side these three beauties! I will have to figure out something amazing with these. They're just too good looking for any scrap projects! I've been keeping an eye on the hashtag on Instagram to see if there's anything I could help others with, but nothing has come up so far. 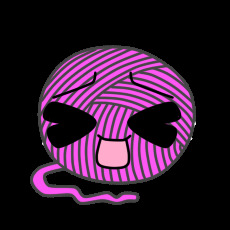 Most people ask for special yarn brands from indie dyers/spinners and they're mostly American. If you as a reader have Instagram, I do suggest you to take a look at it. It's really an amazing idea and it's filled with so many generous and kind people. I've not done Instagram. Started Pinterest long ago and couldn't really figue it out and now my page is full of stuff that I didn't put there, rather annoying. I love blogging, and using facebook, but there's only so much time in the day for the online fun. Always nice to meet fellow knitters and crocheters.